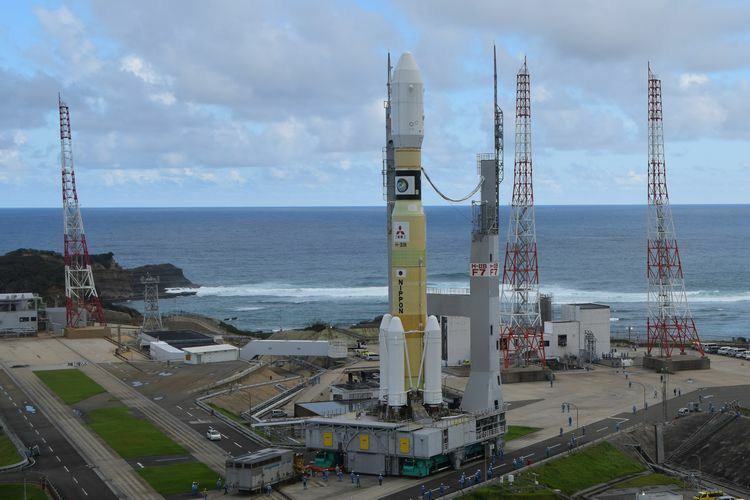 Japanese space officials have rescheduled the launch of an H-2B rocket and a space station-bound HTV supply ship for Saturday after halting a countdown last week due to a propulsion system problem and bypassing a launch opportunity Friday because of a poor weather forecast. Originally scheduled for Sept. 10, the resupply launch was postponed as a typhoon skirted Guam, home of a tracking station needed to receive telemetry from the H-2B rocket during its flight. Managers rolled the H-2B rocket out to its launch pad ahead of a launch attempt Sept. 14, but the launch team called off the liftoff after fueling the launcher to investigate a valve problem in the H-2B’s second stage, according to officials from Mitsubishi Heavy Industries, the rocket’s contractor. MHI announced Wednesday that ground teams have corrected the problem and targeted a launch Friday. 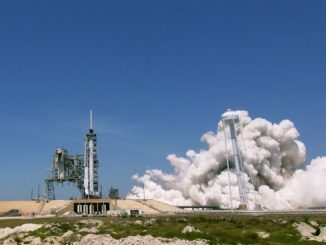 But officials convened again Thursday and decided to push back the H-2B rocket’s liftoff to Saturday at 1752:27 GMT (1:52:27 p.m. EDT) after forecasters predicted bad weather at Friday’s planned launch time. Liftoff from the Tanegashima Space Center, Japan’s primary spaceport on an island in the southwestern part of the country, is timed for 2:52 a.m. Sunday Japan Standard Time. The 186-foot-tall (56.6-meter) rocket is set to roll out to Launch Complex No. 2 at Tanegashima about a half-day before liftoff. The H-2B was transported back to its assembly building in the wake of last week’s scrub for inspections and repairs. The launch team will load cryogenic liquid hydrogen and liquid oxygen propellants into the two-stage rocket, run the launcher’s engines through a steering check, verify telemetry and data links, and configure the H-2B for its instantaneous launch opportunity Saturday. After liftoff, the H-2B will turn toward the southeast over the Pacific Ocean, powered by around 2.5 million pounds of thrust from four strap-on solid rocket boosters and twin hydrogen-fueled LE-7A main engines. The rocket’s single LE-5B second stage engine will steer the Japanese H-2 Transfer Vehicle into orbit and release the cargo carrier at T+plus 15 minutes, 11 seconds, to begin a nearly five-day pursuit of the International Space Station. Assuming it launches Saturday, the automated supply ship is scheduled to arrive at the station Thursday, with capture by the lab’s Canadian-built robotic arm expected at approximately 1200 GMT (8 a.m. EDT). 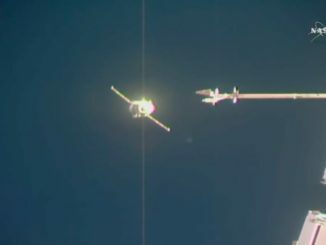 The robot arm will maneuver the HTV to a berthing port on the station’s Harmony module, where astronauts will open hatches leading to the cargo craft to start unloading the contents of its pressurized cabin. Meanwhile, the robot arm and the station’s Dextre robot handyman will remove a pallet carrying six fresh batteries from the HTV’s external payload bay. The new lithium-ion batteries, ordered by NASA, will replace aging nickel-hydrogen batteries used on the station’s huge power truss, which has four pairs of solar array masts spanning 240 feet (73 meters) tip-to-top to generate electricity for the orbiting research outpost. Each solar array section powers two electrical channels and launched aboard space shuttles with 12 charging nickel-hydrogen batteries. NASA is replacing the old batteries in power truss section with six lighter, more efficient lithium-ion batteries. 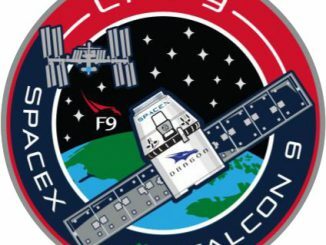 The first set of six new batteries launched on the most recent HTV mission in 2016, and two more HTV deliveries in the next few years will finish the battery refresh. Astronauts will conduct two spacewalks to install two of the fresh batteries launched aboard the Kounotori 7 spacecraft, while the station’s robotics system will install the other four. The two spacewalks were scheduled to occur before a planned crew rotation in early October, but the HTV launch delays have forced NASA to postpone the excursions. NASA said Thursday new dates for the planned battery changeout spacewalks would be announced once the excursions are rescheduled. Gerst tweeted photos Tuesday showing a spacesuit fit check aboard the space station in preparation for the upcoming spacewalks. 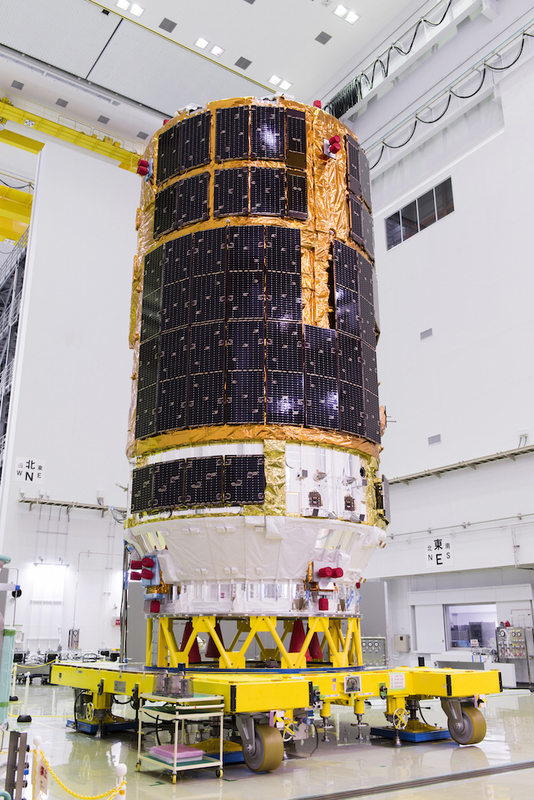 Japan’s seventh HTV mission will deliver around 10,503 pounds — 4,764 kilograms — of cargo to the space station. Two refrigerator-size Express science racks for NASA are stowed inside the HTV’s pressurized cargo compartment, and an experimental European advanced closed-loop life support system is also riding to the station to demonstrate new air purification and oxygen-generation capabilities that could be used on future deep space missions. The HTV is also set to carry a new research facility called the Life Sciences Glovebox to the space station. The sealed glovebox, built by JAXA in partnership with the Dutch firm Bradford Engineering, will allow astronauts to work with biological and human physiology experiment samples. Three Japanese CubeSats are also riding on the HTV supply ship to the space station, where they will be deployed into orbit. For the first time, Japan is launching a sample return capsule inside the HTV supply ship to test a new re-entry system that could bring back experiment small specimens and other materials from the space station. The test capsule — about as big as an oversized suitcase — will be released from the HTV to parachute into the sea at the end of the ship’s expected two-month mission, after departing the station and firing its engines for a deorbit burn.